Proposals for a capital-gains tax to cover Washington’s school funding shortfall should get a fresh look, in light of federal tax changes proposed by President Trump and Republicans in Congress. Amazingly, President Trump and Republicans in Congress may be offering a solution to Washington state’s school-funding crisis. Not only that, it’s the most progressive option on the table in Olympia. I’m talking about a capital-gains tax, an idea proposed repeatedly in the Legislature and used by most states. This wouldn’t tax regular income. It primarily taxes stock gains, when people decide to cash out. Modest gains taxes are a reasonable way to diversify and increase revenue. They are progressive because they increase the share paid by the wealthy. Massachusetts, which funds exemplary schools, uses its gains tax for operating costs and rainy-day funds. Here, capital-gains proposals stall because Republicans controlling the Senate won’t advance them. They should reconsider, in light of tax plans by their counterparts in Washington, D.C. The proposed replacement for the Affordable Care Act eliminates its investment-income tax, cutting capital-gains taxes 3.8 percent. There’s more. Trump pledged to cut capital-gains taxes from 20 to 15 percent. House Speaker Paul Ryan’s tax proposal trims them to 16.5 percent. The bottom line: capital-gains taxes are likely falling 7 to 8.8 percent. 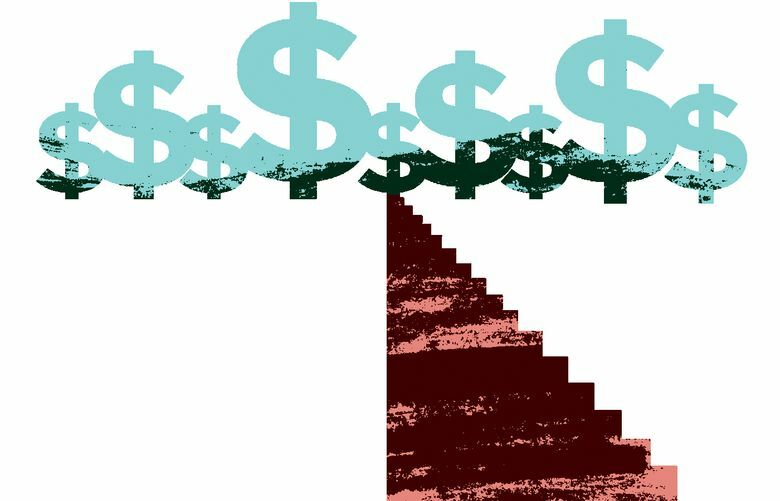 That means the 5 to 7.9 percent capital-gains tax proposals in Washington would be a wash: The state’s rich could increase their share and fix the problem with zero increase in overall capital-gains taxes. Investors and owners of companies especially benefit from education spending, which improves the economy and workforce. Contributing slightly more seems reasonable, especially if it effectively costs them nothing. Olympia’s other school-funding ideas are mostly regressive, because they increase the burden on middle and lower classes. I’m not trying to be a class warrior. My goal is to highlight the policy question holding up school funding. Most lawmakers want to fully fund schools. They can’t decide who should foot the bill. Washingtonians can help them by having a conversation about who should pay. It’s not a question of whether to fund schools, it’s how — and Olympia needs help. Property taxes will continue providing most funding. Some will pay more, as school levies are adjusted and converted to state taxes. Undecided is who pays the rest — perhaps another $1 billion yearly. Should it be the rich, via capital-gains taxes touching less than 1 percent of residents? Raise taxes on service businesses? How about the mostly middle-class homeowners in King County? One Senate Republican proposal disproportionately socks them while cutting taxes in rural areas. Or should we pass the check to the working class and majority of Washingtonians who drive, heat homes and cook food with fuel, with a carbon tax? The latter proposal is galling, not just because voters rejected such a tax in November. The proposal’s green veneer can’t mask its stench of regressivity. It’s the opposite of capital gains — a reverse Robin Hood, taking money from regular folks and giving it to powerful special interests. Plus some for schools. Because carbon taxes are so regressive, November’s Initiative 732 offset economic pain it would have caused with a sales-tax cut and rebates for the poor. The latest carbon proposal has that rebate but no working-class “pain relief.” Instead, it creates a giant cookie jar with billions for private and public grantees, some with debatable environmental gains. Among the potential beneficiaries of this largesse are developers of apartment buildings near transit stops and companies providing employee shuttles or buying electric vehicles for their fleets. Or capital gains could be taxed. Retirement-account gains are exempt, by the way. Inslee’s proposal also exempts home sales. Depending on the proposal, gains up to $500,000 are exempt. Don’t buy arguments about stifling entrepreneurship. The world’s leading startup incubator, California, taxes gains up to 13.3 percent. Consider Washington’s 2015 proposal for a 7 percent tax on gains over $500,000. Entrepreneurs striking stock gold could avoid paying by spreading their windfall over several years. If they splurge and withdraw $600,000 in one year, the tax would be $7,000. Interest alone might cover it. Remember, these are gains beyond salaries, which Washington doesn’t tax. Or lawmakers could force middle-class constituents to pay more for schools, as they’ve done for years with levies, bake sales and classroom-supply fees. These folks should be able to cover it, maybe by canceling vacations, reducing retirement or college savings, or cutting back on fresh fruit and vegetables.